Those of you who have been following me for a while know that it is possible to count on one hand the number of man-made items I have included in my blog posts. You also know that I never alter the arrangement of the natural items that I photograph. 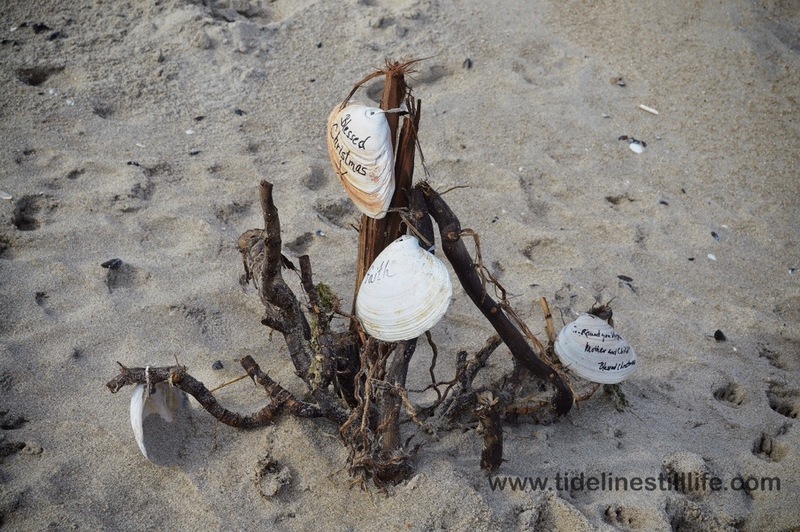 We came across this deliberate arrangement of driftwood and inscribed clam shells while walking the tide line on Sunday. It seems to have been constructed the day before because of the sand that had collected on it (and there was a collection of paw prints from curious canines all around it!). 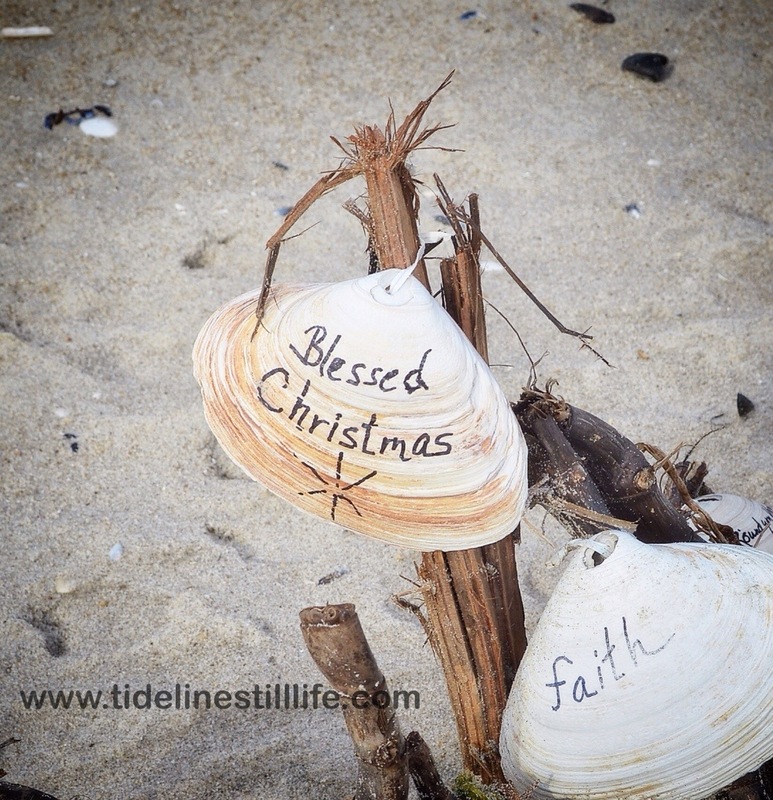 It was just beyond the previous night’s highest tide line. Despite this still life being man-made and arranged, I am using it today for this post to wish everyone the most wonderful of Christmases. Whether you celebrate Christmas or not, take time today for a bit of relaxation, to think about and celebrate family, and to appreciate the natural world around you. If you can get to a sea, all the better.